At $2,700, The Dual Power Model 44 Coupe of 1911 to 1918 had a 4-cylinder internal combustion engine as well as electric power. Below 15 mph the car was electric powered and above it the conventional engine took over to take the vehicle to a maximum of around 35 mph . It is today considered a historic hybrid electric vehicle. Woods Motor Vehicle Company was an American manufacturer of electric automobiles in Chicago, Illinois between 1899] and 1916. 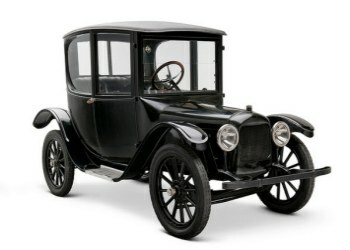 In 1915 they produced the Dual Power with both electric and internal combustion engines and this continued until 1918. The company was started by Clinton Edgar Woods who "wrote the first book on electric vehicles." The 1904 Woods Stanhope was a stanhope model. It could seat 2 passengers and sold for US$1800. Twin electric motors, situated at the rear of the car, produced 2.5 hp each. The car weighed 2650 lb with a 40 cell battery. 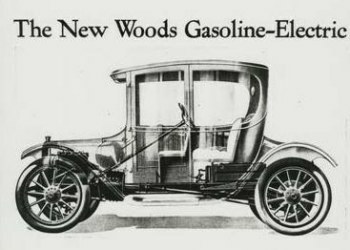 The 1904 Woods Victoria was a carriage-styled model. It could seat 2 passengers and sold for US$1900. The same twin electric motors as the Stanhope were used, though a 4-speed transmission was fitted. The car weighed 2,700 pounds. 40 batteries were also used, with an 18 mph top speed.